Edna, right, is pictured with her sister Doris during happier times. With the exception of Bonnie Parker, when most people think of Depression Era outlaws they think of the men who left their marks in history. However, many of the women who shared their lives with the outlaws were just a colorful … some even shared the spotlight. Murray, born Martha Edna Stanley in Marion, Kan., in 1898, was a criminal associated with many high-profile gangs of the Depression Era, most notably the Barker-Karpis Gang. Although popularly known in the press as the “Kissing Bandit” for once kissing a male robbery victim, she was known in the underworld as “Rabbit” for her many jail breaks. She was married to two criminals in the 1920s, but is best remembered as the lover and crime partner of Volney Davis, a member of the Baker-Karpis Gang. As a teenager, she married twice and both marriages failed, but she had a son, Preston Leroy Paden, in 1917. Sometime around 1920, she moved to Kansas City, Mo., where she joined her younger sister Doris, who was living with a wanted criminal named Emory Connell. Murray met and married Connell's partner, jewel thief “Diamond Joe” Sullivan. Less than two years after the marriage, however, Sullivan was arrested and convicted of murder and was executed 1924. Pictured from left are Sullivan, Edna, Doris and Connell in this composite from Debz Graphics. After Sullivan's death, she married another criminal, Jack Murray, whom she joined in his criminal activities. They were soon arrested, however, and on Oct. 1, 1925, they were each sentenced to 25 years for a Kansas City, Mo., armed robbery. It was this crime that earned her the nickname “the Kissing Bandit” after she supposedly kissed victim H. H. Southward on her way out the door. On May 2, 1927, she escaped from the Missouri State Penitentiary and remained on the run until she was captured in Chicago on Sept. 10, 1931. Two months later, on Nov. 4, she escaped again but was recaptured in less than 24 hours. She didn’t stay long. On Tuesday, Dec. 13, 1932, she and fellow prisoner Irene McCann sawed their way through prison bars to freedom. They soon separated and McCann was recaptured. Murray, meanwhile, joined with Volney Davis, whom she had met years earlier when she worked as a waitress. Davis was also an escapee. He was serving a life sentence at the Oklahoma State Penitentiary for a robbery and murder he committed with Arthur “Doc” Barker. Murray and Davis embarked on a crime spree from their hideout in Aurora, Ill., and Davis renewed ties with Doc Barker and began working with the Barker-Karpis gang. The ties to the gang was further strengthened because Murray’s sister Doris was now living with Jess Doyle, a member of the gang. Murray and Davis would eventually be implicated in the Barker-Karpis kidnapping of St. Paul banker Edward Bremer, who was ransomed for $200,000. The pair also had a connection to an incident that gave the FBI the biggest black eye in its history, and almost brought about its end. Jess Doyle, left, and Volney Davis. On April 23, 1934, John Dillinger, Homer Van Meter and John “Red” Hamilton arrived at Murray's home seeking refuge. They had been involved in two shootouts in as many days and they needed help. The gang managed to escape within minutes of the FBI's arrival, but convinced the gang was still inside the FBI kept the lodge surrounded all night and even begin hitting it with teargas in the early morning hours. The result was the killing of an innocent man and the wounding of several other innocent people. The FBI wavered between being vilified and laughed at. Members of Congress called for Hoover's immediate resignation and humorist Will Rogers noted the only way the FBI would shoot Dillinger is if he "accidently got in with some innocent bystanders." The following day, April 23, Dillinger, Van Meter and Hamilton, driving a stolen car near Hastings, Minn., encountered a roadblock and a shootout occurred. They managed to escape, but Hamilton was badly wounded in the lower back. On Jan. 22, 1935, Murray was indicted along with several members of the Barker-Karpis gang for a conspiracy in connection with the Bremer kidnapping. Before she could be arrested, however, she fled the state with Jess Doyle, who was also indicated. The pair were arrested two weeks later, on Feb. 7, in Pittburg, Kan.
Murray, who was not charged in connection with any another Barker-Karpis crimes, was found not guilty on the kidnapping conspiracy charge. However, she was returned to prison in Missouri to finish serving her term for her earlier conviction of highway robbery. Once back in prison, Murray became very cooperative and would eventually testify against members of the Barker-Karpis gang, as well as many corrupt police officers and lawyers. While in prison, Murray took advantage of her celebrity by marketing herself as a “gangster’s moll” and freely gave interviews to various newspapers and magazines for such stories as “I Was a Karpis-Barker Gang Moll.” She also befriended Blanche Barrow, widow of Ivan "Buck" Barrow, a brother of Clyde Barrow, who was serving time for her crimes committed with the Barrows. 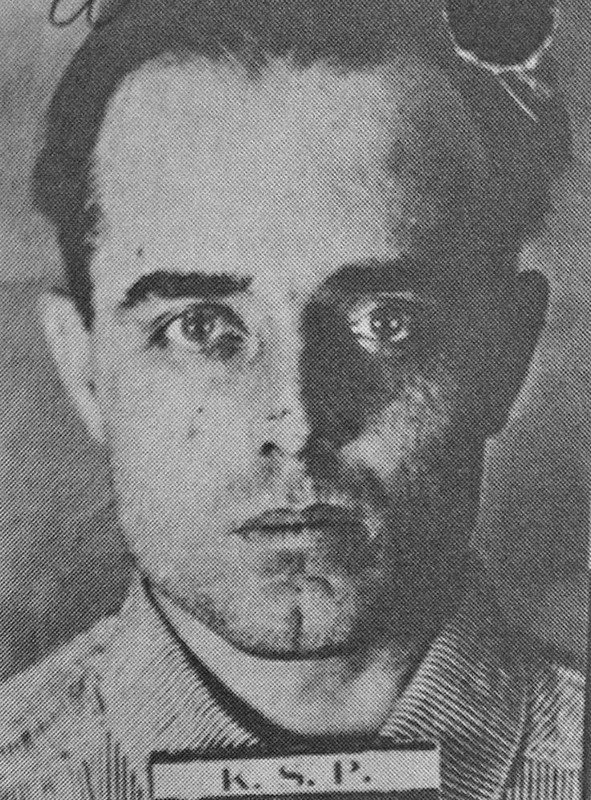 Murray was paroled on Dec. 20, 1940. She led a quiet life after that and eventually moved to San Francisco where she died in 1966. Her brother, Harry C. Stanley, was arrested in early 1935 and charged with aiding and abetting his sister. He was fined $1,000 and sentenced to six months. In 1936, Murray’s son, Preston Leroy Paden, was convicted of murder for killing a night watchman during a robbery in Kansas. He was given a life sentence. Davis, who also went on the run after he was indicated in the Bremer kidnapping, was arrested in St. Louis on Feb. 6, 1935, the day before Murray. However, he escaped the following day and wasn’t recaptured until June 1 when he was tracked to Chicago. He was eventually convicted and sentenced to life. In poor health, he was paroled in the late 1950s. On May 21, 1960, he married Daisy Irene Gramham and they lived in Guerneville, Calif., where he died on July 20, 1979. Edna, left, and Blanche Barrow.